Choose an area and click “Edit area blocks” icon to modify the content. 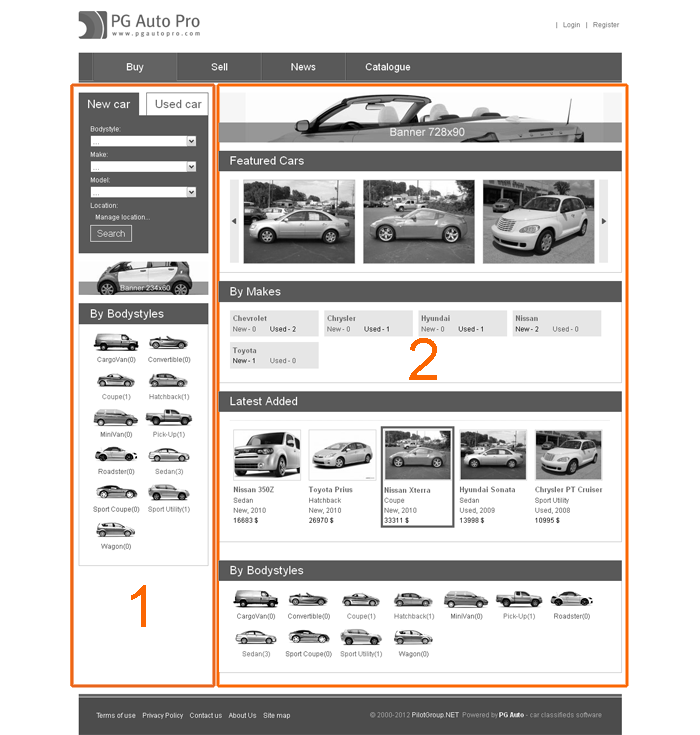 The page can be filled with quick search form, banners and car listings. It’s up to you to decide what kind of content and how exactly to display! You can choose whether to display featured or latest added car listings, cars catalogue sorted by made or by body. Every dinamic block settings differ in a way. 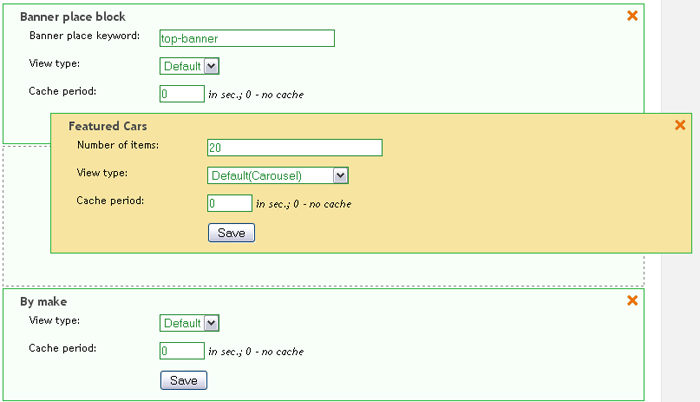 Choose a number of items, view type (carousel or list), set cache period, etc. 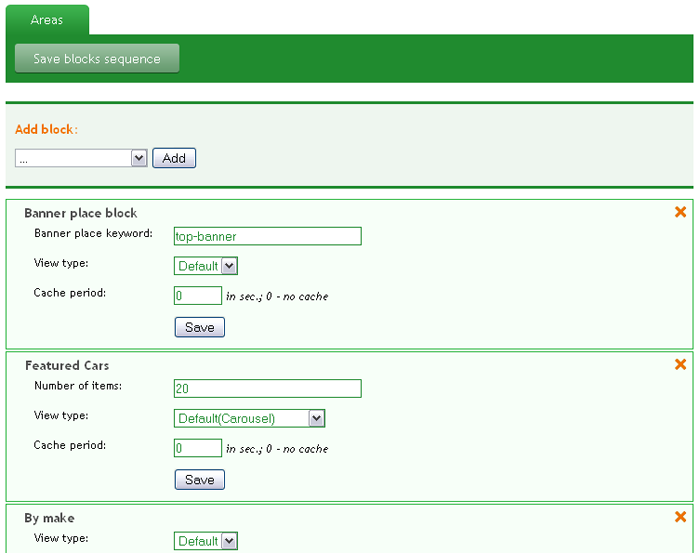 You can add any number of dynamic blocks and sort them as you wish with drag-and-drop tool (see below). Use “Save blocks sequence” button on top of the section to save the changes.